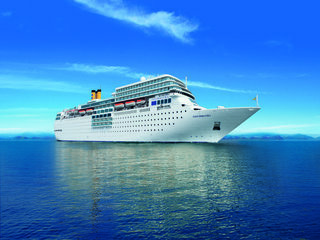 Looking for a cruise holiday with your kids and family? A new cruise experience. Result of an innovative total restyling project, Costa neoRomantica is a refined, prestigious and elegant ship, ready to be discovered, which will surprise you and win you over at first sight. Everything is fully taken care of to give you a new and extraordinary cruise experience. ♥ Endless Fun Activities: From day to night, be occupied with activities such as dancing classes, sports tournaments, and even Italian cooking classes! When dusk falls, be entertained with world-class performances and impressive acrobatics from Sapori d’ Italia and Feel The Beats shows! ♥ Exquisite Dining Experience: Inside our fine dining restaurants, prepare to indulge in delicious, tantalizing gastronomical delights from Italy! Dine in a glitzy atmosphere and pick from a savoury selection of authentic Italian cuisine, including Costa’s Signature Lobster Dish and the anticipated Grand Venetian dinner menu on the night of Carnival of Venice. Indulge your senses in the ultimate dining experience in the Club Restaurant. Get to taste all kinds of pizzas and try the Asian noodle soup for free during supper! Don’t forget to have a …..coffee as well. ♥ Onboard Facilities: With facilities that includes Jacuzzis, Saunas & Turkish bath, and a Beauty Salon with experienced masseurs, take on an exquisite spa journey towards well-being and relaxation. When you’re ready, make the heart pump and start an invigorating workout at the indoor gymnasium, multi-purpose sports court or the outdoor jogging track which offers an unmatched sea-view to accompany you while you exercise. And after your long day of exercise and fun, relax yourself in your comfy cabin!